When your site visitor tries to open your website on a mobile device, s/he may be forwarded to the mobile version of the site (http://yoursite.com/m). The system will try to identify the mobile device OS version and suggest installing mobile apps instead. Only Android or iOS devices are supported by default. First of all, you should have your mobile applications generated and published in the Google Play Store and App Store. Please view this article for more details or contact Customer Service team for help. Note: You can skip the forward to mobile version entirely and show full-scale site version with the responsive design theme instead. Please contact us if you have questions about that: www.datingpro.com/contact. 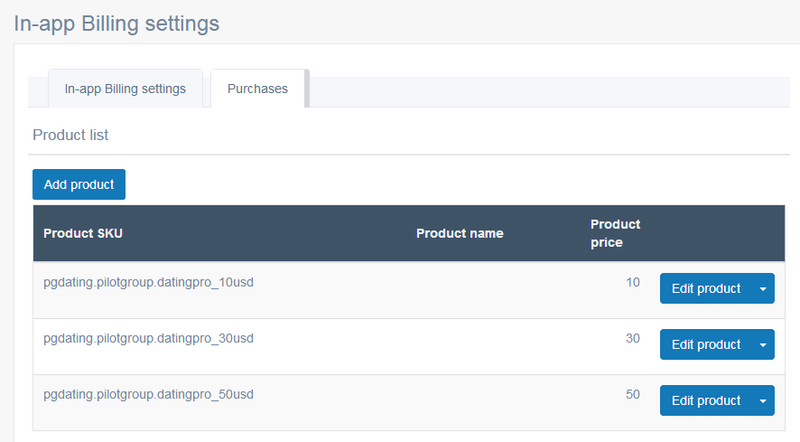 In this section, you can connect your Android app to your account at Google Play Console and insert the details of the products (=paid options) that your dating app users will be able to purchase from within the app.
! Please note that changes in the application source files are required prior to performing any changes in the control panel of your dating site. We will be happy to help you out here, as part of the getting apps ready for submission service that comes with the Business and Premium packages. This option is also available for the Android app at the moment. Push notifications for the iOS app are in progress. Here you need to connect your site to your Firebase account. 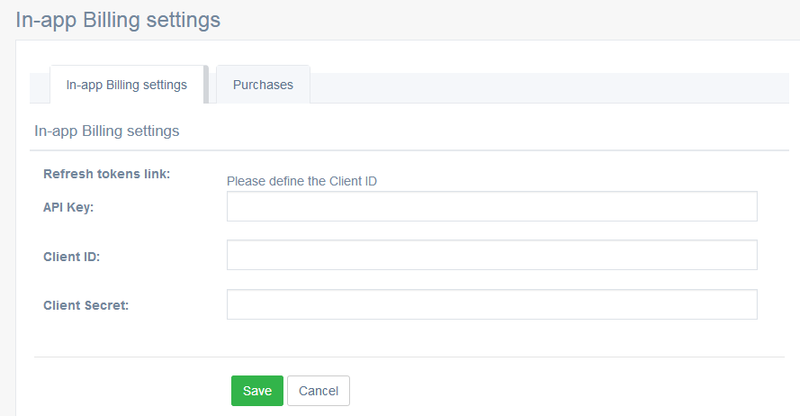 Create an account and click Add project to collect the Firebase API Key. After that, your app users will be able to start receiving push notifications when someone views their profile or sends them a message in the private chat. Push notifications are available for the Android app at the moment. We are working to add them to the iOS app as well. 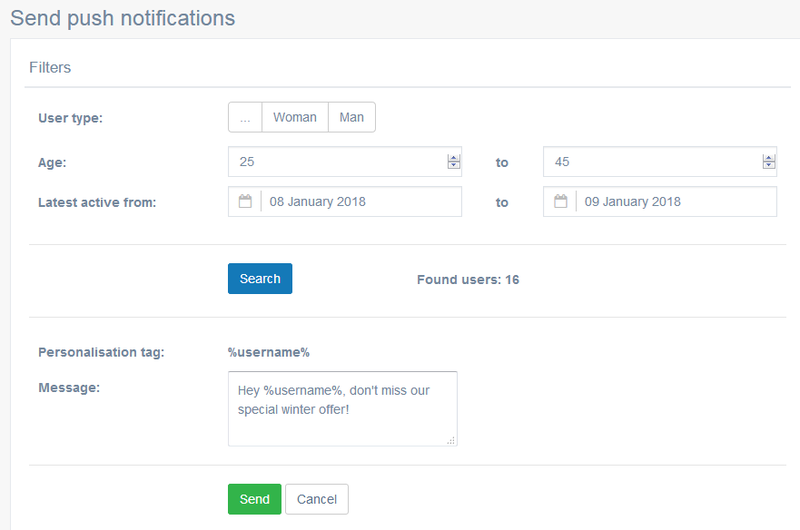 With this special tool, you can send personalized push notifications to certain groups of app users. The following filters are available: gender, age, latest activity.